One of the things you have to do with the installation of the new wiring harness is remove the dash and all instruments. Even though I've done this twice before over the past 7 years, this is the first time I noticed this tag hanging from the harness. 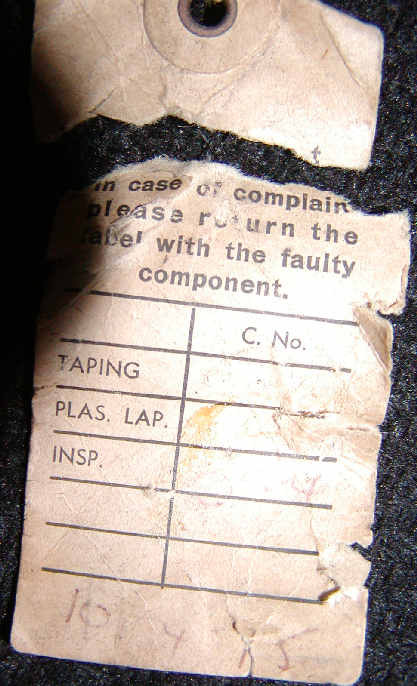 As you can see, it says "In case of complaint, please return this label with the faulty component" and it dated 10/4/75. Based on the reputation of Lucas, I wonder how many "faulty components" were returned with the tag????? It only took 29 years for this car's tag to be found!